Wind and storm damage in the American South/Southwest region is one of the more common types of property damage. From 24/7 emergency services, architectural design, or complete reconstruction, WE are your single point of contact in restoring your property. Don’t let wind and storms wreak havoc on your home and your schedule. Let us do the work. From a single gust of wind, a tornado, or a hail storm; wind and storm damage in the American South/Southwest region is one of the more common types of property damage. 24/7 Disaster Group’s prompt response to waterproof and stabilize your home or business is critical in preventing further damage. 24/7 Disaster Group’s storm damage restoration techs are ready around the clock to respond to any type of storm damage. Tornado, hail storm, rain storm, lightning storm, wind storm, snow storm, whatever the storm we are ready to perform emergency services and repairs to get your home or business back up and running. We offer around the clock emergency storm damage services and work with major insurance carriers to make sure emergency services are performed to mitigate storm damage as soon as it is safe and practical. In most cases and adjuster will be on site within 24 to 48 hours. In catastrophic losses, such as large tornadoes or weather events, it might take a week or two before an adjuster can visit the site due to large volume of claims in the storm area. 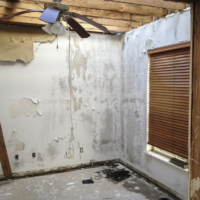 You do not have to wait for an adjuster to visit the site to begin any emergency board-up or mitigation work. In most cases the insurance carrier prefer this to be complete as soon as possible to prevent further damage to the home or business. As with any damage and restoration project, a fast response is critical in saving your home or business from secondary damage and intrusion from mother nature’s elements. Storm damage is different from other damage in the fact that mother nature doesn’t let up when we choose or when we apply our control to the situation. The fire department can put out the fire, the plumber can turn off the water, but no one can stop mother nature. Storm damage can break windows that need to be boarded up immediately or take off part of a roof that needs to be tarped now. Waiting on the rain to stop or the weather to diminish can take hours or days and may result in terrible secondary damage. 24/7 Disaster Group’s professional, certified content restoration techs will evaluate, inventory, clean, and pack out the contents of your home or business. Depending on the size and type of the storm damage loss our techs can dry and clean contents on site or provide transportation and offsite climate controlled storage to further protect your belongings. 24/7 Disaster Group can not only respond to provide emergency storm damage services, but we can provide complete reconstruction of your home or business. 24/7 Disaster Group has decades of experience in residential new construction, remodeling, commercial new construction, multi-residential construction, industrial construction and even property development. Note: Choosing the right, knowledgeable contractor is important. One example of many, the vast majority of restoration contractors do not know about Direct Pressure ratings on windows. Just because window glass is not broken after a low F scale tornado does not mean the seals have not been compromised. If the wind speeds in the area are higher than the window manufacturers direct pressure rating, the seals have a high probability of failing in the months to come which cause condensation in the window and loss of thermal values. All of the windows need to be replaced at this point. 24/7 Disaster Group’s storm damage restoration technicians are industry certified by the Institute of Inspection Cleaning and Restoration Certification or IICRC and are highly trained in loss procedures and work protocols to expertly restore your property from any type of storm or wind damage. Do research! Don’t sign a contract with the first contractor to knock on your door, or the first contractor your insurance company sends out. This doesn’t mean there are not good contractors who go door to door, not all are fly by night types, but this also doesn’t mean the insurance contractor won’t cut corners to save a buck since they must work at discounted rates. Again, do research! Storm: Our staff will look well beyond the exterior roof and siding damage; we use thermal imaging cameras and the latest moisture detection technology to investigate the inside of the attic, walls, and other building components to make sure damage is not overlooked that might result in future microbial growth or air quality issues. 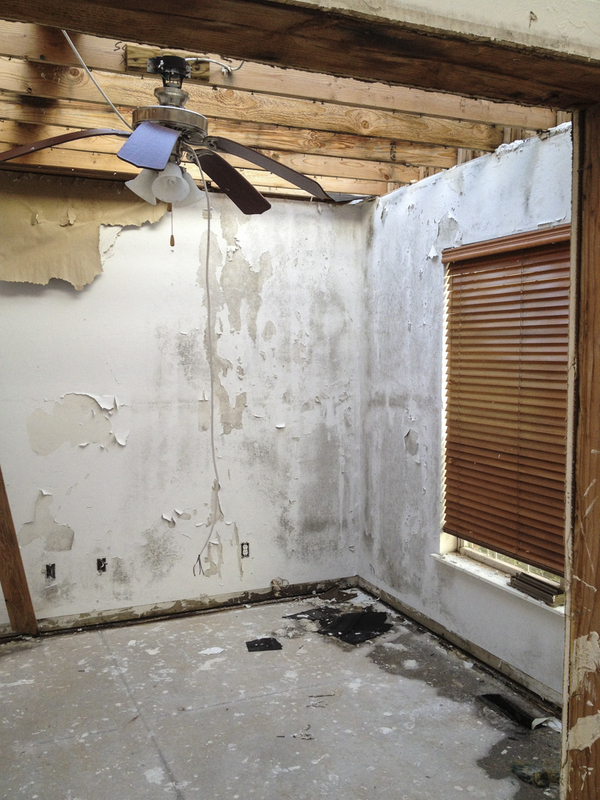 24/7 Disaster Group has decades of experience in storm damage restoration services. Our services cover any type of storm damage restoration ranging in size from a bathroom remodel to commercial office building construction. The size of the storm damage restoration project can change, but 24/7 Disaster Group’s knowledge, attention to detail and customer service never remain the same. We rely on happy customers and word of mouth advertising to continually grow our business. Therefore we say simply, Satisfaction Guaranteed.